Regi Campbell is an entrepreneur, author, and mentor. He’s been involved in founding 15 companies, serving as CEO four times. He’s written four books: About My Father’s Business, Mentor Like Jesus, What Radical Husbands Do, and his most recent, Radical Wisdom. But Regi’s passion and calling is mentoring younger men to become all-in Jesus-followers. He is currently leading his 18th mentoring group and has now personally invested in 144 men and indirectly, in their marriages and families. The success of his mentoring groups led Regi to found Radical Mentoring to equip and encourage men and their churches to launch intentional men’s small group mentoring. Through the investments of those churches and mentors, over 7,200 men have been mentored. Radical Mentoring is a non-profit organization that has helped hundreds of churches activate their men into all-in followers of Jesus through intentional small group mentoring. These churches not only build their men into disciples and leaders but grow and deepen their whole church. The Radical Mentoring process is designed to engage the older, wiser men in your church and leverage their life experience to activate the untapped potential of the young, hungry men sitting in your pews. While part of the process involves curated and intentional content, what sets Radical Mentoring apart is the focus on story. On fostering a safe space where men can be completely vulnerable and transparent . . . working through their issues in community, with the guidance of someone who’s been there before. Radical Wisdom isn’t your normal devotional book. It’s a daily journey toward wisdom and insight from someone who’s already been where you’re going. The daily readings in Radical Wisdom not only provide you practical wisdom and principles but guide you as you examine your life experience and develop your own wisdom. Whether you’re leading an organization, a family of five, or simply leading yourself, you will become a better leader through Radical Wisdom. Mentor Like Jesus will show you the power of intentionality when it’s part of authentic community. And help you understand the disciple-making process Jesus used and modeled, distilled and activated for the 21st century. Here’s a way for more mature believers to find purpose and meaning as they move into the giving back season of life. And a way for the next generation to grow into fully alive, reproducing disciple-makers through Jesus approach to mentoring. 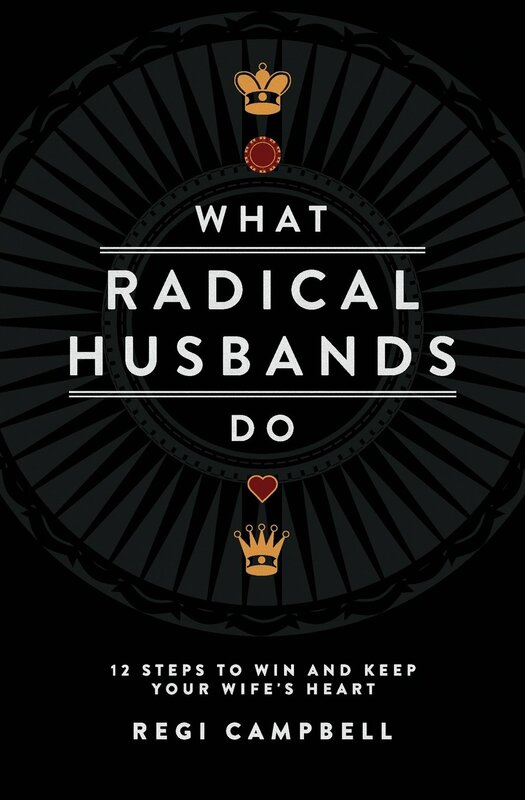 What Radical Husbands Do is a book written by a man for men. It gives people things to DO not to BE. No psycho-babble, religion, or feel-good frills. Just straight up principles and advice from a guy who has screwed up and learned how to make his marriage work through hard times. Marriage isn't a game of chance. Are you willing to put your chips on the table and go all-in to win and keep your wife's heart? This book shows you how in 12 specific steps. 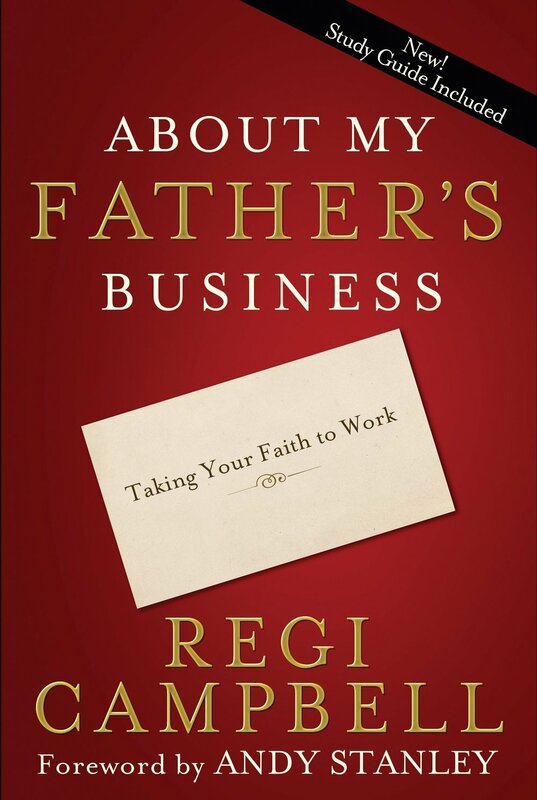 About My Father’s Business offers a proven, natural process for becoming a spiritual leader at work, regardless of your position or title. Regi Campbell has more than twenty years experience learning and implementing these strategies in companies both small and large. With refreshing transparency, he shares the struggle he encounters building his career while consistently pursuing his mission to have influence for Jesus Christ with his coworkers. Note: The royalties on all four titles go to Radical Mentoring to further the development of intentional small group mentoring in churches worldwide. Regi Campbell was interviewed on The Carey Nieuwhof Leadership Podcast to discuss his story and background, before moving on to how and why he mentors. Thom Rainer interviewed Regi Campbell on his leadership podcast. They spoke about the value of mentoring and how it can help re-energize churches and ministries. Regi Campbell and one of his mentees, North Point Community Church Campus Pastor Clay Scroggins talked with Tony Morgan on The Unstuck Church Podcast about how Radical Mentoring started around Regi’s dining room table and how it’s currently helping churches develop men into all-in disciples and leaders. Regi Campbell speaks on Radical Mentoring's intentional men's small group mentoring process at the Christian Men's Conference in Charleston, SC. Regi Campbell shares his story and how he came to know that Jesus loves him (and you) unconditionally at the Real Estate Prayer Breakfast in Atlanta, GA. The IMAP is a simple tool Regi developed to help himself (and others) figure out where people at his workplace were spiritually. The columns on the IMAP show the stages Jesus would have us travel, ending up as excelling followers who are investing in others to help them find their way to him. The IMAP provides a starting point, a “best guess,” as to where a coworker is spiritually. And then helps you be intentional about engaging them to move one step at a time toward an excelling relationship with Jesus. And then based on your IMAP, you can develop a unique gameplan to point people toward a relationship with God. For as long as we’ve been around, the question of purpose . . . “why am I here?” has hung in the air. The Purpose Driven Life came along and provided an answer: “To glorify God.” A good answer. In fact, it’s the answer. But it’s just that we don’t know what to do with it. It’s been 30 years since Regi Campbell first took on this question and coined his life purpose statement. And since, he’s crafted a process that’s helped a lot of people figure out the ‘how’ to energize the ‘why.’ There’s a real peace in knowing why God made you and how He wants to use you in the world. Maybe this short ebook is your next step to finding that peace and fulfillment. If guys decide to work on their marriages . . . to be intentional about it, they'll go further faster doing it together. These marriage-building assignments, accompanying What Radical Husbands Do, are designed for men to work on their marriages together in a closed group. The idea is for the same group of guys to meet regularly . . . maybe once a month . . . and commit to intentionally working on their marriages for a period of time. So there's an initial meeting, a 'homework' assignment aimed at a specific marriage issue, and then a debrief at the next meeting after the exercise is done. The Mentoring Manifesto is intended to inspire you to become a mentor or a more effective mentor. It’s going to cast a vision for a personal mentoring ministry that you can do for the rest of your life. It’s time to stop buying into the lie that you don’t have anything to offer, that you can’t be a good mentor to the next generation. It’s time to get off the couch to reach out to young men who are spiritually hungry and need a mentor. It’s time to start living the most fulfilling, rewarding and meaningful life available – that of a sold-out, all-in, Christ-follower. And it’s time to take a few younger men with you. No man can gain perspective in the midst of his circumstances. We all need ‘fresh eyes’ to see for us. 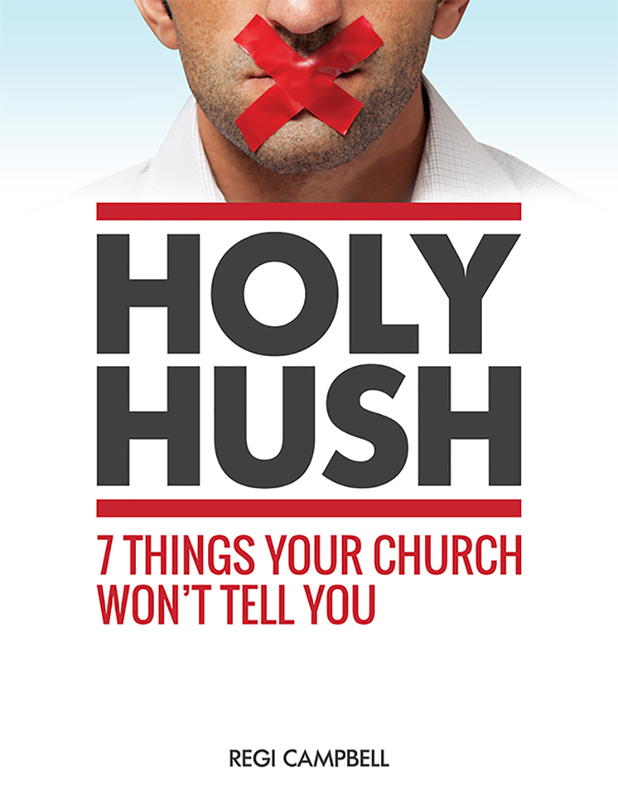 The Holy Hush is meant to serve as ‘fresh eyes’ for church leaders. If you want to lead your church into the future, you need to hear and consider the 7 things your church won’t tell you shared in this eBook. Things like . . . So drop your guard, open your mind, and read on. In this short ebook, Regi Campbell brings a fresh perspective on the next-generation church and the role of the new Senior Pastor. 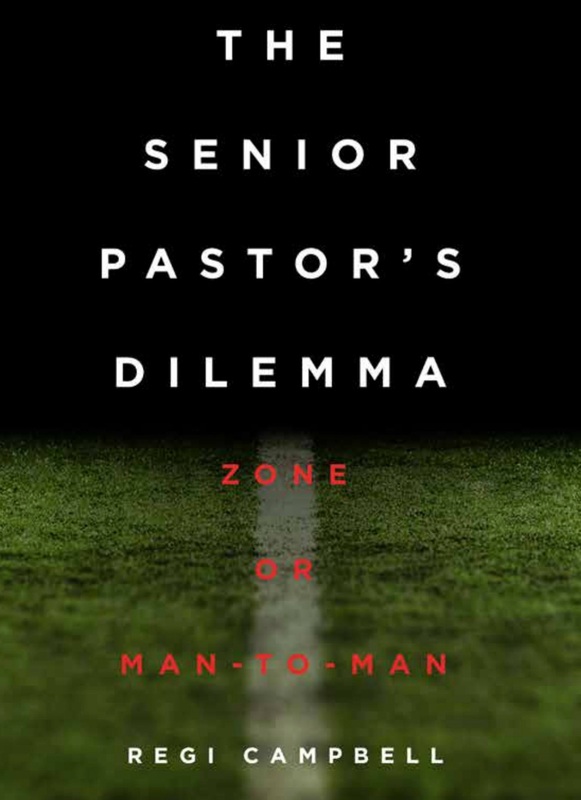 He’s going to encourage and equip you to lead your church into playing both zone and man-to-man. It’s both/and, not either/or. He offers a fresh but challenging perspective on leading your church to not just make disciples, but disciple-makers. It will surprise you how simple this challenge is to explain and to do. You just have to ‘want to’ bad enough to trust the process and the God-man who created it. Yes, people need tools for disciple-making, but we’ve got lots of those. What we’re sadly short on are tools for stimulating interest in disciple-making. This eBook isn’t about tools, although it touches on that. 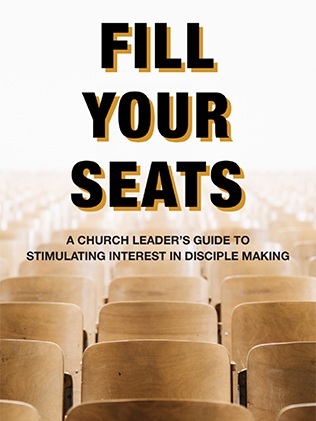 In Fill Your Seats, Regi Campbell shares what he’s learned about stimulating interest in discipleship and disciple-making. He’s been intentional about making disciples for 30+ years, actively engaging in the process and paying attention to the trends. Thanks for reaching out! Me or someone from my team will be in touch.